ELECOM (EPABX) OF Authorized Dealer for MATRIX specializes in Key Phone System, PBX, GSM and VoIP products. An innovative, technology driven and customer focused organization; the company is committed to keep pace with revolutions in the telecom industry. This has resulted in bringing forth cutting edge products like Digital and ISDN Key Phone Systems, Digital PBXs, Voice Messaging Products, GSM FCTs, GSM Gateways, VoIP Products, Intercom Security Products and PLCC EPAXs. Thus, Matrix has gained the trust and admiration from users representing the entire spectrum of industries. No wonder, Matrix has won awards for the Best PBX and Key Phone System Company. Matrix VISIONPRO offers intelligent features like Auto Redial, Auto Call back, Call Follow me, Conference, Abbreviated Dialing, Hotline, etc. that enhance the convenience in the organization. It also offers efficient call management by way of Alternate Number Dialing, Auto Attendant, CLI based routing, Direct Inward Dialing and Dial by name. The features like Allowed and Denied list, Call duration Control, Dynamic Lock, Least Cost Routing etc. ensure tight control over the cost of communication. 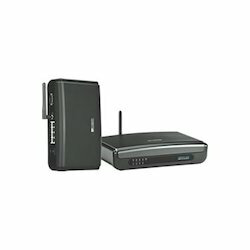 SIMADO GFX44 is a fixed configuration GSM/3G-FXS voice gateway. 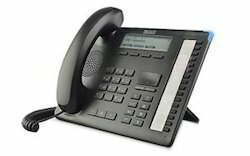 It connects with the existing telephony devices via FXS interface. Up to 4 SIM cards can be placed inside the SIMADO GFX44 gateway allowing up to 4 concurrent calls. The calls to mobile numbers are placed via the GSM/3G SIM cards, reducing higher fixed-to-mobile interconnection charges. The gateway serves as an ideal solution for business organizations, remote project sites with limited fixed-line connectivity and temporary office set-ups. Unit Weight 1.00kg (2.21lbs) Approx. Shipping Weight 2.50kg (5.5 lbs) Approx.